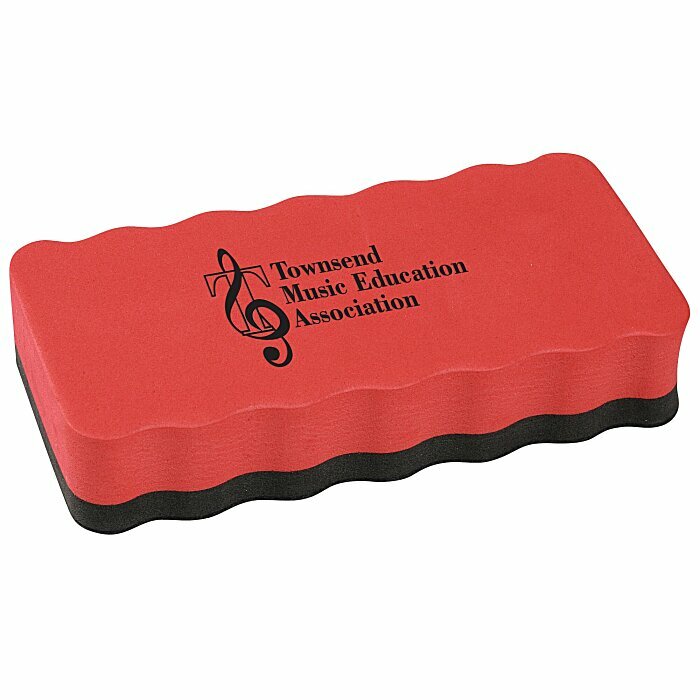 Keep your company image clear with imprinted erasers! 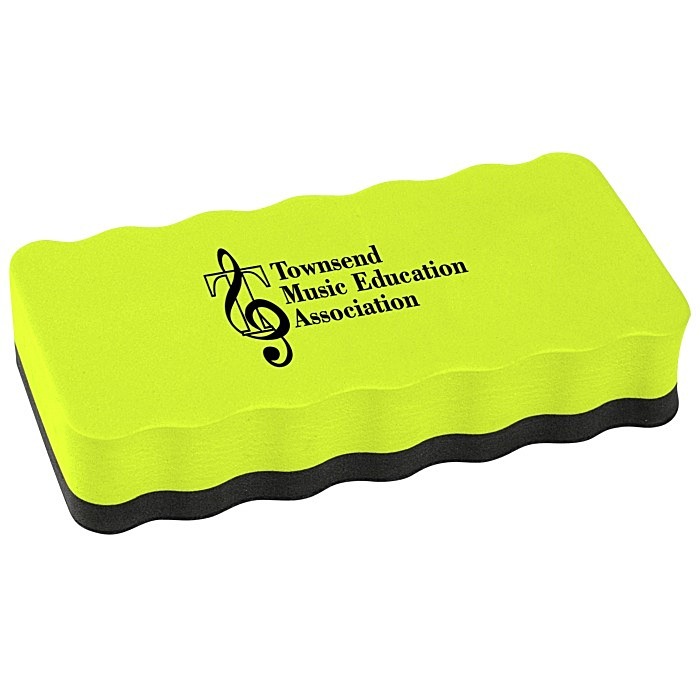 Clean up after a day of teaching or presenting with this handy dry-erase eraser. The black felt side of the eraser easily removes dry-erase marker marks for a fresh start each day. Large rectangular design and finger grips make it much easier to clean than a tissue or cloth rag. Magnetic backing leaves the eraser right where you can find it. Stock your office or school supply cabinet with a stack of these handy imprinted supplies. Size: 2-1/16" x 4-1/8" x 13/16". Your price includes a one-color imprint on the top of the eraser.